As I sit down to write my last post for this year, it is time to reflect, ascertain and maybe analyze the year gone by! Like any other year, it was a mixture of many events and emotions that unfolded a way, teaching me lessons to last a lifetime. It was a year of extremes. Extreme betrayal in friendships and profession, extreme love and support from family and some friends, some milestones being met, the birth of my nephew and new relationships being formed and forged. I look forward to 2015 with hope, prayer and enthusiasm as I’m filled with gratitude about my work here touching so many lives and knowing about it through comments, emails and messages from you, my dear readers! 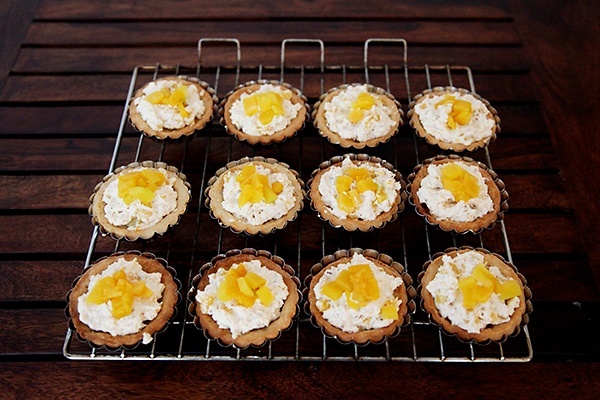 And here, I am today, bidding adieu to 2014 with these fantabulous tarts! 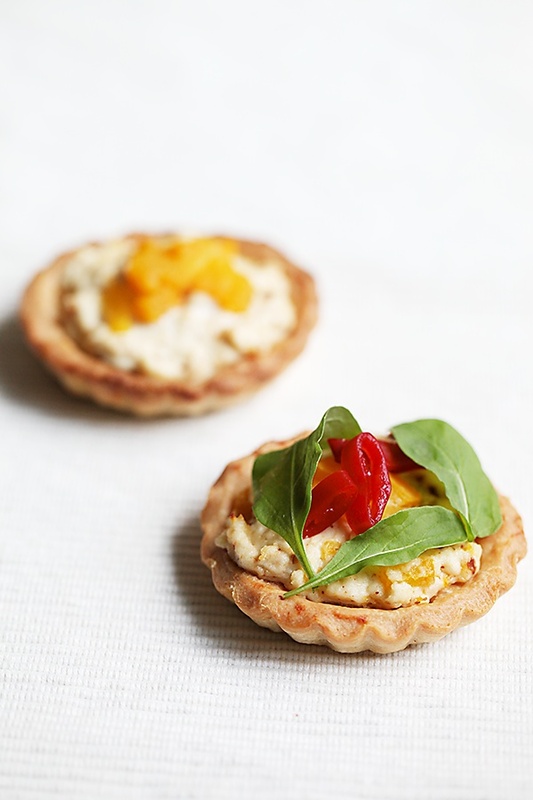 Tarts, not only make a pretty picture, but also a wholesome meal. 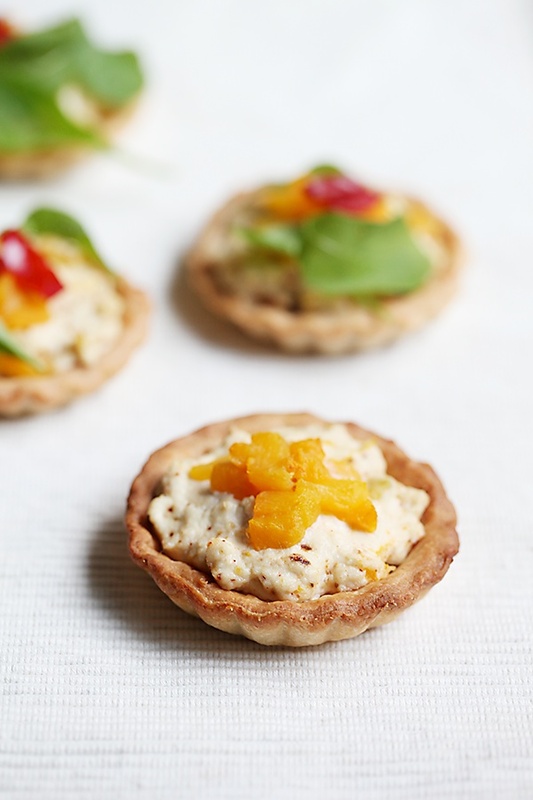 You can have them for brunch, at tea time, at lunch or dinner. 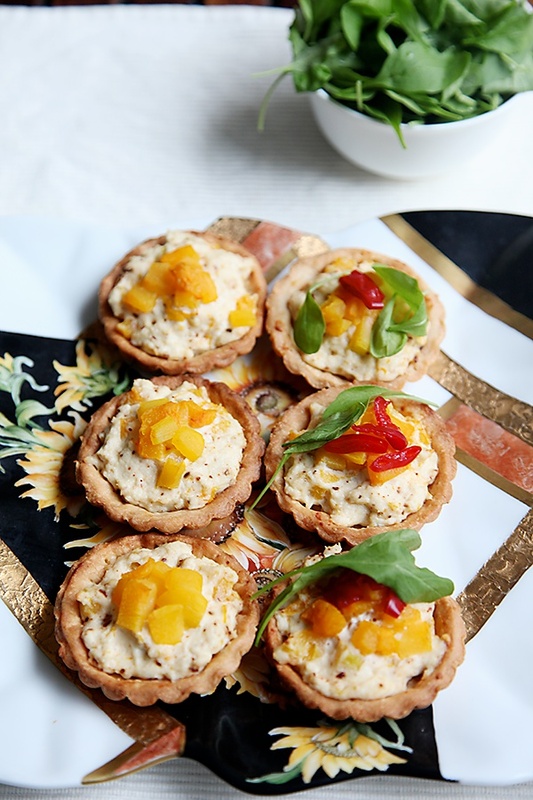 They are perfect for a party or a picnic or when you want to make something elegant yet homey for a homemade delight. 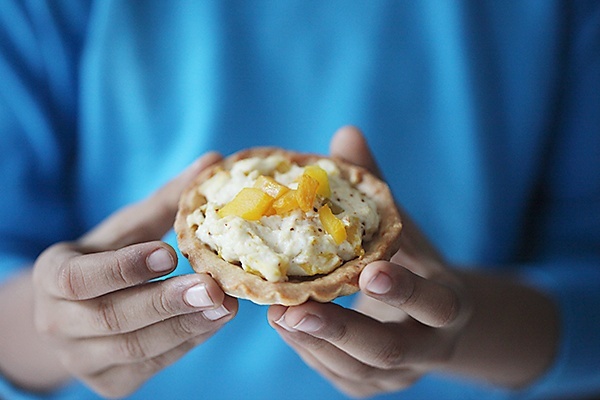 These tarts were met with rave reviews at home and it also comes with a guaranteed seal of approval from my five year old, my hardest taste tester! I couldn’t believe what I was seeing when this little boy of mine ate an entire tart at one go! I love paneer, but if you don't you can substitute it with tofu. 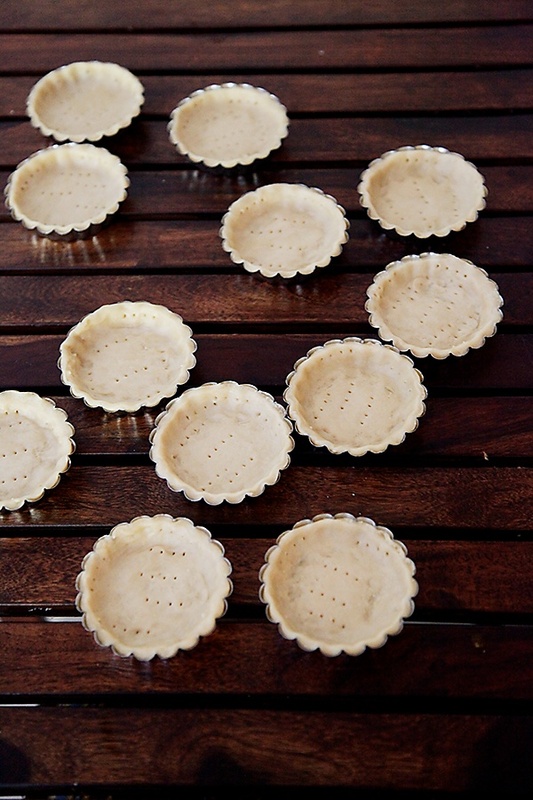 The buttery crust filled with a smooth yet spiced paneer and pumpkin filling is a great meal by itself. Add a soup and salad to this and you are all set! 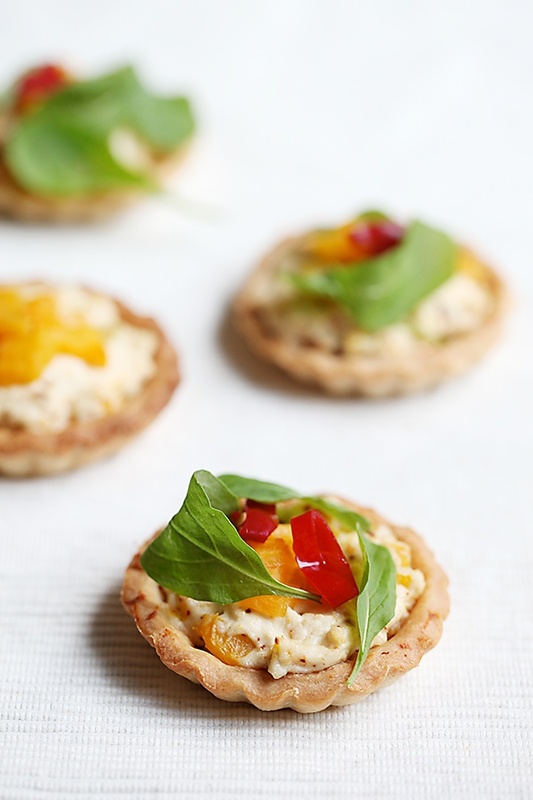 I chanced upon some baby rucola and I used them to sprinkle over my tarts. 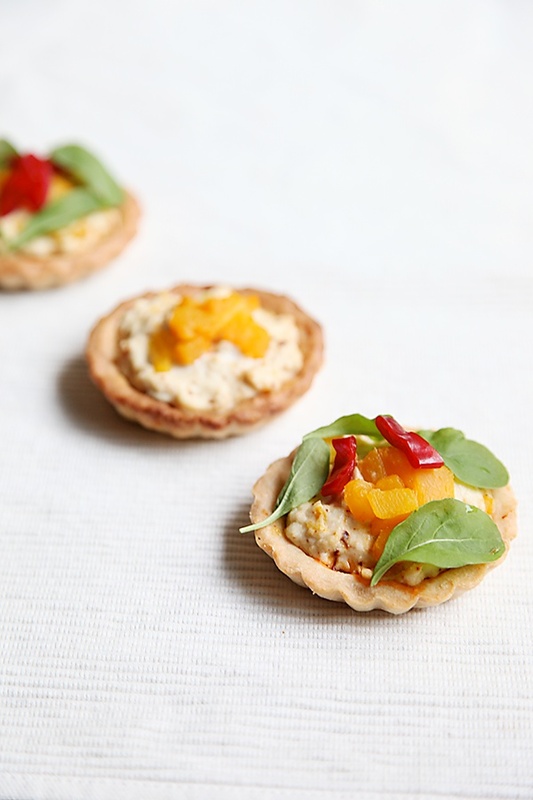 If you are serving these tarts to kids, then you might not want to use salad leaves that are tart and astringent. Grate the paneer or chop coarsely and blend in a processor until smooth. Put the paneer into a bowl and add in the rest of spices and the oil or ghee and mix well. Fold in the pumpkin pieces, reserving a few pieces for the topping. Spoon a little cooled filling over a cooled tart. Place a few pieces of pumpkin in the centre. Bake for 10 to 15 more. 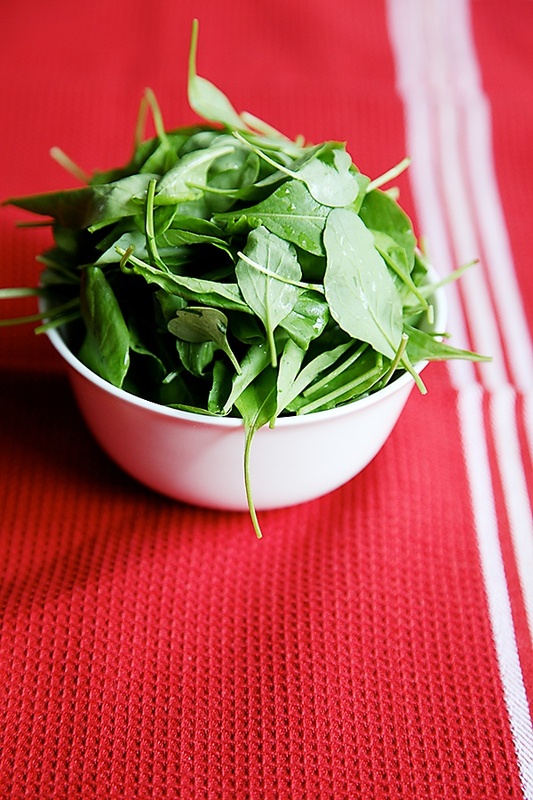 Sprinkle over fresh salad leaves and garnish with the optional red chili or jalapeno pepper. .
Hi Anu, Looks wonderful and delicious! Wish you and yours a Very Happy New Year 2015! 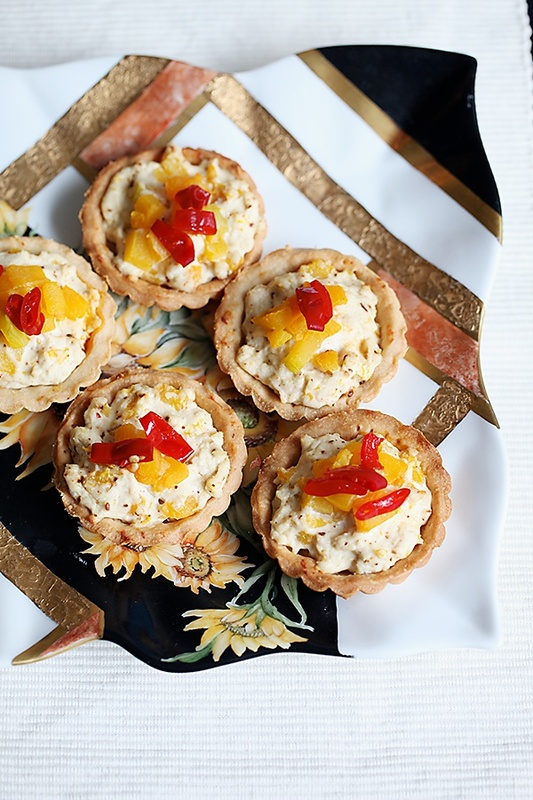 Mindblowing tarts, Anu! Loved them. A great way to ring in the new year. 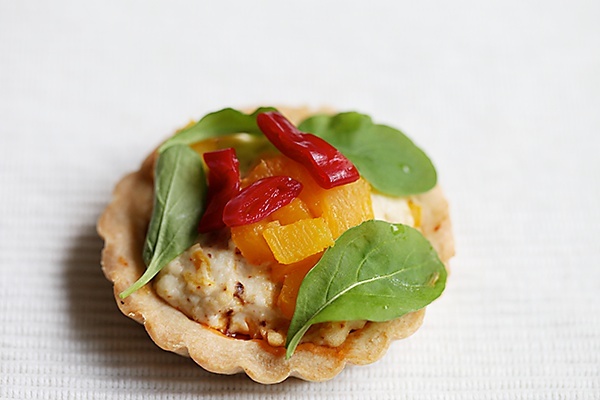 Your nephew (and my son) is going to become one of the biggest fans of your delicacies. Asmita- I'm really happy to hear what you have to say! It has to be salt instead of sugar in the recipe. It has been rectified. Thanks for pointing it out. Lakshmi-Thank you Lakshmi and wish you the same. Ruchi: Hope you like this as much as we did! Will share a quiche recipe soon. Its been long pending. Stay tuned! Btw this recipe does not come when i look up pies and tarts. Dilekha- Thank you so much for letting me know. It's been rectified.